This is the first in a series of spotlight interviews with people who are passionate about their Broil King® products, how they use them, and how they ended up being so involved in the world of grilling and barbecuing. 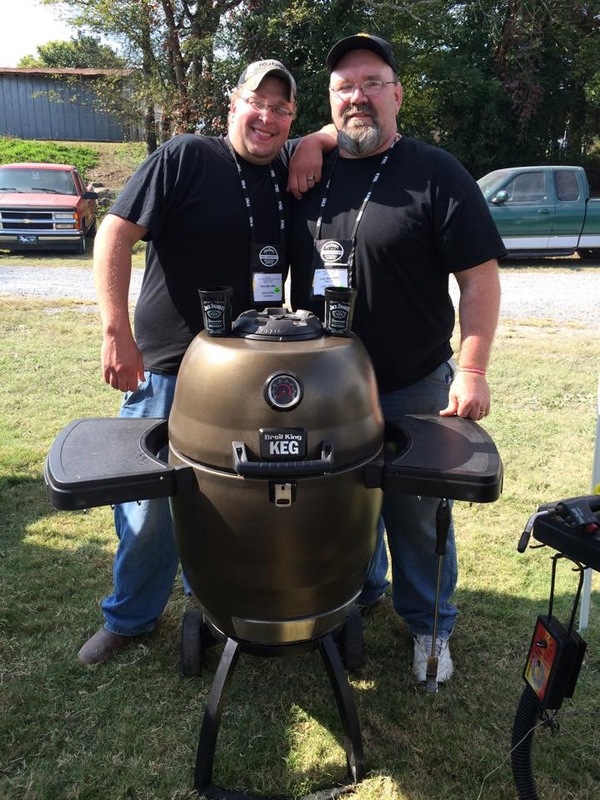 We recently had the chance to catch up with Corey Schroeder from the Tasty Meat BBQ Competition Team to learn how he ended up being so serious about competing with his Broil King Kegs. Born and raised in Pepin, WI (where the Chippewa River joins with the Mississippi) and living in Atoka, TN (just north of Memphis) since 1991, you can find Corey posting on our Broil King Keg Forum as YankNRebel. BK: What is your earliest memory of cooking and barbecue? CS: My earliest memories of cooking and fire are while camping on sandbars on the Chippewa River growing up. I learned all the basics from my dad, Sam. 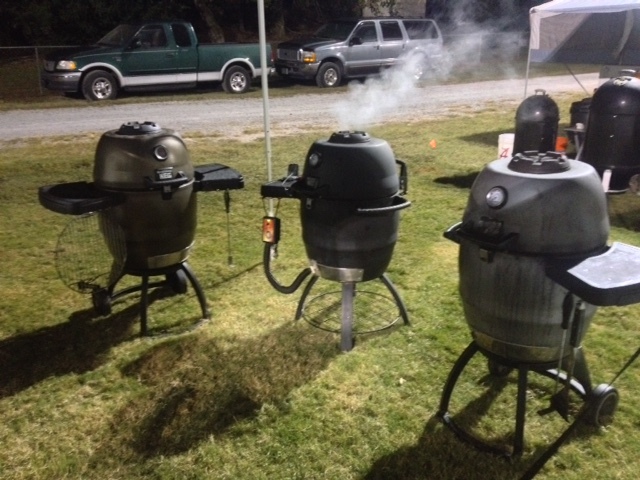 We cooked over wood fires, on kettles, and over large charcoal pits every year for the local tractor pull. BK: Who influenced your interest in barbecue? CS: I think my biggest influence was Dad, remembering how good all the food tasted when cooked over the fire. BK: Let’s talking smoking and grilling – Gas, Charcoal, or Both? CS: I have used both, had a big gasser for years; but the keg brought me back to charcoal and that’s where I stayed. I don’t see ever going back to gas with the incredible flavor that charcoal imparts in the food. BK: When did you make the leap from backyard to competition? CS: After cooking on my Broil King Keg for friends and family, I realized that my BBQ was better than anything I could get at a restaurant. I thought I’d like to see where my skills stacked up against others. BK: How did you end up in competition barbecue? CS: Together with my son-in-law Adam McNeil, we decided to form a team and rule the BBQ Universe (haha!) We found out quickly that we were pretty good, but we had a LOT to learn. BK: What is your specialty? CS: Pork is really our specialty. 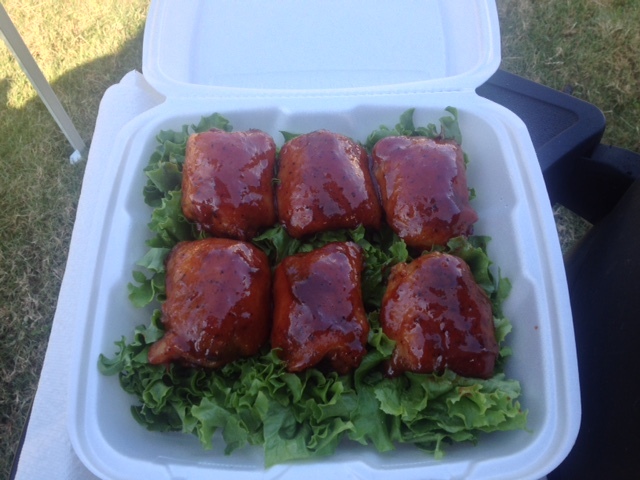 Competing in the Memphis Barbecue Network competition meats are pork only. Pros cook whole hog, whole shoulder, and pork ribs. Challenger (patio) teams can cook whole shoulder (or just Boston butts) and pork ribs. BK: When / where was your first competition? BK: How did it go? CS: We came in mid-pack overall, our rib and pulled pork scores were okay, but we got spanked pretty badly on our brisket (next to last). BK: Any lasting memories of your first competition? BK: Biggest mistake or surprise? CS: Our biggest mistake was trying something we had never done before at a competition. Always, always, always practice any new techniques or recipes at home first! BK: Any tips for someone looking to get into competition? CS: Go for it! BBQ people are great folks. Ask question and pay attention. You can learn a lot from just talking with some of the experienced pitmasters. Take a class, you’ll learn more than you think. There are competition teams all over the place teaching classes. 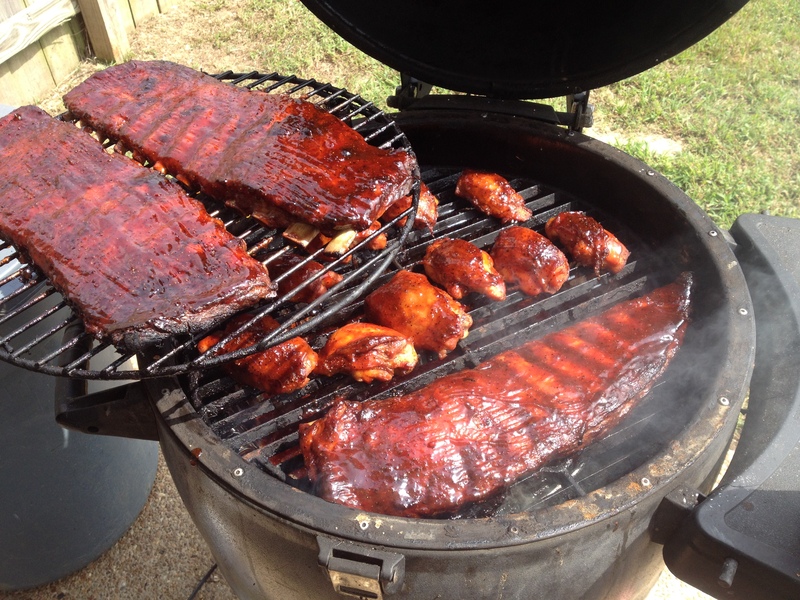 BK: You qualified for the Jack Daniel’s World Championship Invitation Barbecue (Shadetree Division) – how did you get there? CS: We entered the drawing for the Shadetree division, a draw-only entry for non-professional teams. We were lucky enough to be drawn to compete. BK: What do you expect to see at the Jack? CS: The Jack is going to be a once in a lifetime experience. The best of the best are there on the pro side, and with 20,000 plus people expected to come through the Hollow that weekend, it will certainly be the biggest compeition we have ever been a part of. BK: Some parts of competing are extremely specific. For example, you’re cooking to the judge’s taste profiles vs. your personal preference. How do you manage that? CS: That’s one of the hardest things to graps. As a backyard cook, you cook meat to eat. You make it the way you like it. At a competition, you are cooking only for the judges. You have to always keep that in mind. Flavors have to be complex and pronounced. BK: How do you handle the trade-off between being unique and fitting the requirement for judges? CS: Flavor profile is that hardest thing to get down. Tenderness and presentation usually don’t change a lot from place to place, but flavor does. Knowing where you judges are from (generally) can help you tailor your flavor to fit. Some areas like it sweeter, some like more vinegar or more spice. 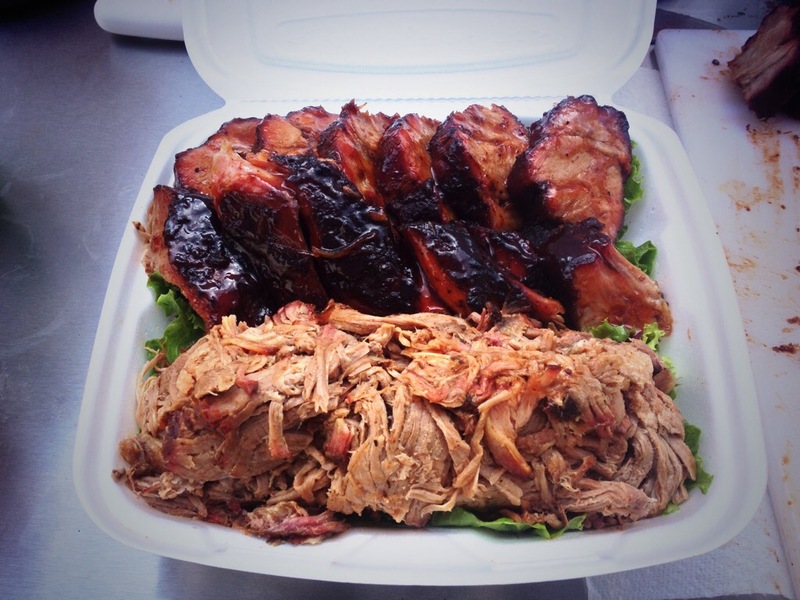 BK: Preferred tastes can change as barbecue trends do – sweeter, spicier, etc – how has that effected your cooking? 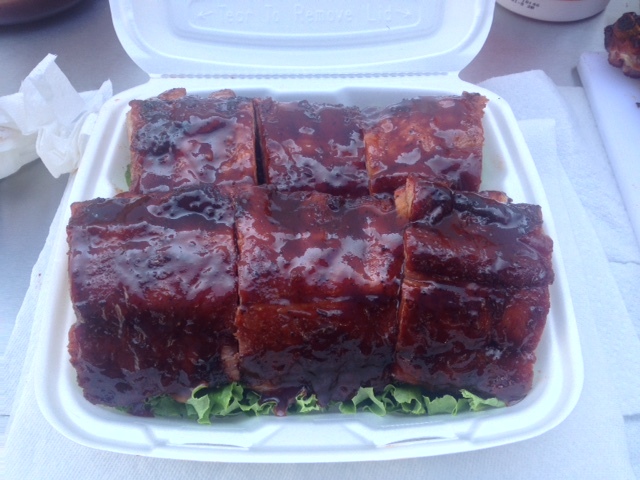 CS: Just in the last two years I have seen the judge flavor preference start to back off the super-sweet back towards a savory profile, but they generally still love sweet ribs. BK: You’re cooking for one-bite judging – how does that change vs. backyard cooking? CS: You have to turn it up to 11. You get on, maybe two bites to convince that judge. Whe I cook at home, the flavors can’t be that intense, you’d never be able to finish a rack of ribs. BK: The world of barbecue is a large extended family – who has helped you along the way? BK: You’re an active member of the Broil King Keg Forum – when did you join and what have you learned? CS: I joined in July of 2010, and I really have to thank everyone here for my BBQ success. The forum and its members are a wealth of knowledge and techniques that can turn an average backyard guy into a BBQ hero. Seriously. BK: What is the community like there? CS: Everyone is great. We share our successes and our disasters. Anyone needing help or advice can expect friendly advice and helpful pointers. I have been on many internet forums and this one is full of the nicest, most helpful folks you’d ever hope to find. BK: You cook on Broil King Kegs – where did you find it, what do you like about it? CS: I bought my first, then Bubba Keg, at Home Depot. I lvoe everything about my kegs. They’re portable, rugged, and versatile. I love being able to cook anything from pizza to pulled pork on one cooker. Nothing is as useful. BK: There are thousands of barbecue accessories out there, if you have three to use for the rest of your life, what are they? BK: You’re from Tennessee – there are local specialties everywhere – What does Tennessee do better than anyone else? BK: What is your ideal outcome for the Jack? CS: I’d love to win, who wouldn’t? I’m really honored just to be drawn to compete. My real hope is to represent the MBN properly. Would love to get a call. BK: How big is the field? CS: 64 teams, I believe. CS: Pork is definitely our strongest suit. Ribs and butts are our bread and butter. The chicken category is my biggest concern. BK: What is the biggest wildcard to deal with? CS: I think it’s going to be the distraction of the whole event. With all those famous pitmasters and all the crowd, just concentrating on your game is the biggest challenge. I’ve got my Kegs, and the Kegs make me look good, so I’m not worried. BK: Where do you see your competition career going in the next few years? CS: That depends on a lot of other things. We are considering a move to Iowa, and if that happens, I’ll have to jump into the KCBS world. If we stay in Memphis, then trying to improve our standings in the MBN Challenger series, and eventually make a run for Challenger team of the year.